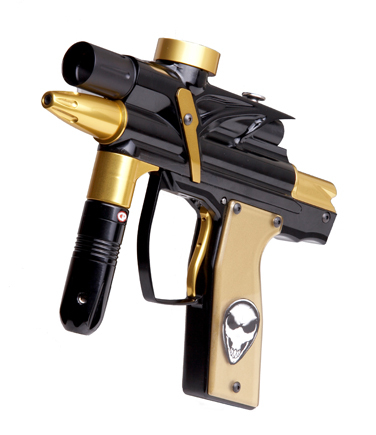 Here is a pic of the Alien marker, the Independence. It’s pretty much the same ol’ schpeel, though it does have a few unique features. First, it’ll come with a 45° or 85°, like the Interceptor. Also, it has a built-in low-rise feedneck, like the Bob Long Marq. Other than that, pretty much like any other high-end marker out there, just made by some brand no one really recognizes.